Crafting Adventures: Anyone for Anya? .... anything goes! Happy Easter everyone! I've spent the day at my in-laws and have been stuffing myself silly on very naughty chocolate cake! Shh.... don't tell my thighs, they might not have realised yet that I've consumed approximately 1 billions calories! Ooh, I really hate this card. Don't ask me why, I just don't think it works. Boo hiss. Anyway, despite my dislike for it, I am entering it in to a few other challenges. Charisma Cardz - Animal Magic. 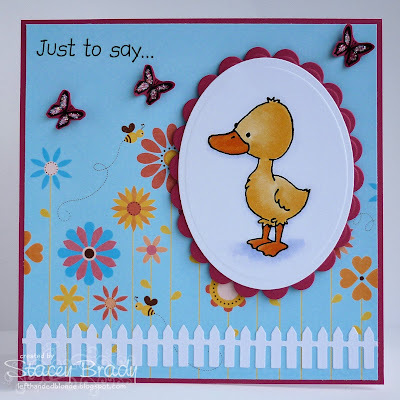 Stamps: CC Designs - Spring Things. Available here from Dies to Die For. 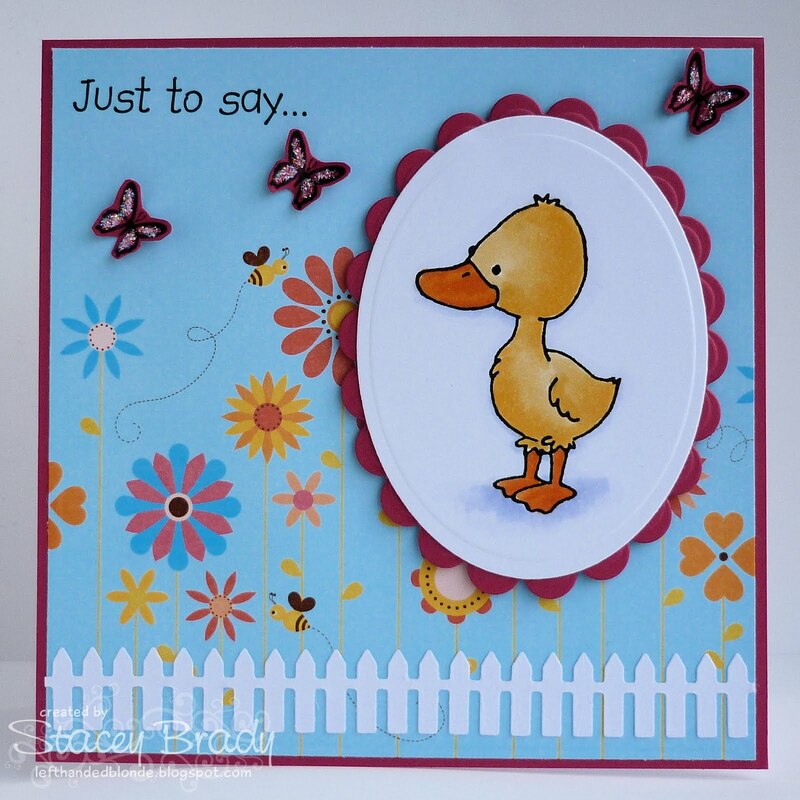 Paper: The Birds and the Bees from Sweet Shoppe Designs. Copic Colours: Y17, Y21, YG04, YG07, B60, B63. Tools & Embellishments: Picket fence die, Whimsy butterfly stamp from Snippets Sentiment Set 1, Stickles. Thanks for dropping by today, I hope to stop by your blogs in the next day or two. Great card Stacey! This image is so sweet! Hi Stacy I have to say I think this is quite a cute card. tis a cute card Stacey , and l love your colouring . what? I think it is super adorable! Aww what a sweet creation! Such fun, bright colors! Stacey I think this card is super cute! He is so sweet!